Software Application needs to be maintained, supported, and upgraded with the technological changes according to the current business need, so that user continues to gain the maximum benefits from all of the functionality. Our IT Support and maintenance services maintain your software application throughout its lifecycle, even if we didn’t build it. Once application is delivered we don’t make an exit, we are in for the long term. We provide full technology support and maintenance services consistently for the remainder of its life. 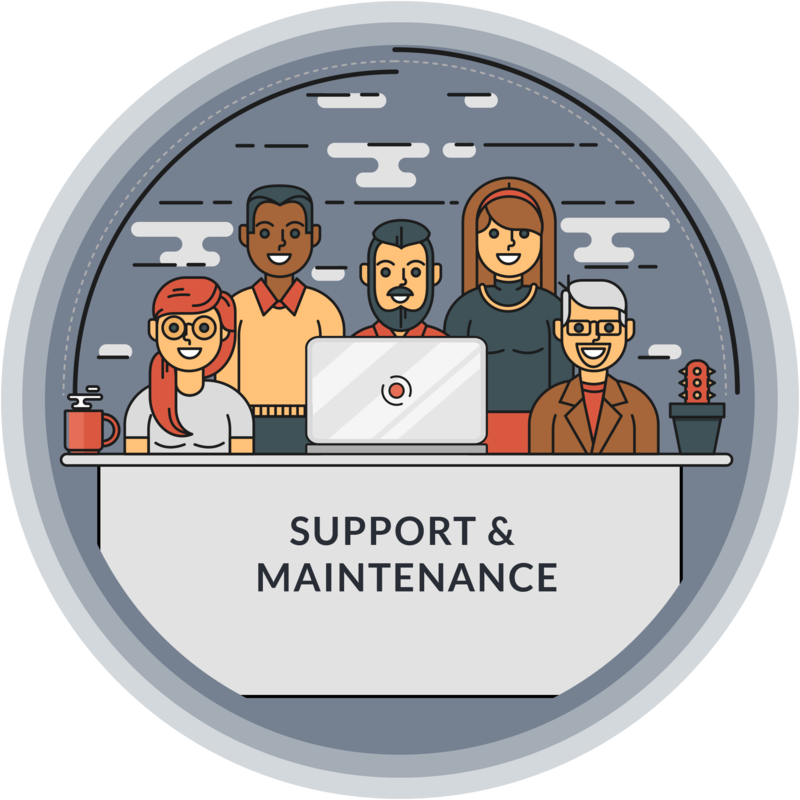 Our IT support agreements are integrated with the software we provide, so you get full, uninterrupted access to our support and maintenance from the moment your system is launched. Assistance with Any Functionality You or Your End Users (Customers) Are Unfamiliar With. Access To Our In-House Help Desk. Rolling Data Back Or Merging Data From Previous Versions When Needed. We work to a clear Service Level Agreement, which means we are committed to responding to your needs quickly, through our remote our front line support team, developers and our online help desk system.